Hi! Happy Friday! This week I thought I would share with you some of my favorite kitchen tools. The things I go back to time and time again. It’s so important to have tools and gadgets that you like to use and that work well. Years ago, right after we got married and Adam and I moved into our first apartment, I decided to bake some cookies. I’m not the biggest fan of baking (too precise…I much prefer cooking!) but we were going to a dinner party and I had said I’d bring dessert. I’d gotten all the ingredients after work and got started after dinner. When it came time to cream the butter and the sugar, I took out my trusty old hand-me-down electric mixer. After 10 seconds of beating, it died. So I told Adam I was running to the store to get a new mixer. I remember him asking “Wouldn’t it be easier to just run to the bakery?” Ha-ha…I was not giving up that easily! So I headed to Bed, Bath and Beyond and purchased a shiny new mixer. It was certainly an upgrade to what I’d been using. I got home, plugged that bad boy in and it was amazing! The beaters spun so fast and it had so much power. Suddenly I realized part of the reason I hated baking was because I didn’t have the right equipment! Needless to say after that a-ha moment, I found myself whipping up a whole lot more cookies and pastries! This thing is a game-changer when it comes to making smoothies and we make a lot of smoothies. I drink a green smoothie every morning and my kids love to have them for after school snacks. (This is their fave!) 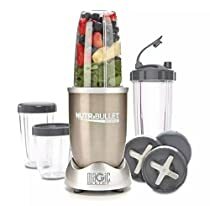 This Nutribullet pulverizes every ingredient, including frozen fruit, oats, and nut butters to make perfectly smooth drinks. The best part is how easy it is to clean! You use the blender cup to drink out of and it’s all dish washer safe. SO much better than a regular blender! I use my slow cooker at least once a week. Shredded chicken for tacos, pulled pork, soups. With three kids and all their crazy schedules, there is nothing better than knowing dinner is taken care of. I spend 5 or 10 minutes in the morning dumping ingredients into the pot, plug it in, and set the timer. 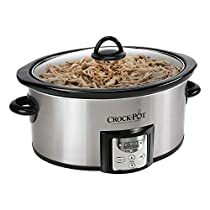 My favorite thing about this particular slow cooker is that the timer will automatically switch over to warming once the cooking time is up. This helps to ensure that the contents won’t burned. Genius! Have you jumped on the spiraled veggie band wagon yet? My mom and I abosultely love cutting up cucumbers, zucchini and potatoes like this to make “noodles.” You can eat them cold or saute them and they are absoultely delicious. We both have one of these basic Veggetti Slicers and it works great. It allows you to make either thin or thick strands. I may try upgrading to Insprialized slicer one day soon, since it has a few more options. But as an entry-level gadget, this thing is great! While a zester is certainly not a necessity, it’s amazing how using fresh citrus zest can improve a dish’s flavor. My mom and I actually have a quite a few recipes that call for zest and I always found it such a pain. But then I tried this, and it was another a-ha moment! This zester features a compartment in the back which collects all the zest. 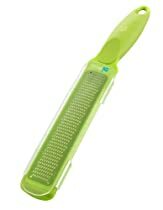 Once you’re done zesting, simply slip off the back cover and all the zest is right there! Plus it has a nice comfortable handle. This is definitely one of my new faves. I got my first piece of Pyrex food storage when my sister-in-law dropped it off as a donation to the yearly tag sale. It was brand new in the box and I just knew it was too nice for the tag sale! I grabbed it up and I have loved it ever since, and added many more pieces to my collection. Storing food in glass is so much better than plastic…no staining, warping or odors. You can bake, serve and store all in one, and they stack nicely in the cupboard and fridge. These are another thing I just can’t do without in my kitchen! I have many more favorite gadgets and tools I can share, so this post may become the first in a little series! Tell me, what are your kitchen must-haves? 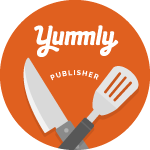 Please comment below and let me know what you can’t cook or bake without …I’d love to hear them! And come back and checkIN next week to checkOUT some more great finds! Don’t forget…if you use or try out any of these products, snap a pic and share with me on Instagram with #checkincheckoutfriday! 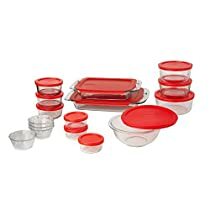 Wow I love this post mostly because I went to culinary school & always want kitchen ware but I’ve been thinking about getting Pyrex products & I may just do that soon! I love these products! I need to get a new blender as the one I have died, it was my mom’s and it worked so good for years so I need to find a good replacement. The spiral veggie tool looks awesome too! Thanks for sharing! These are all wonderful suggestions! I love my slow cooker and Pyrex pieces, too. Although I do regret not having a decent blender — I make so many smoothies, it would be a wise investment. Happy weekend! I hope you have a great one! These are all awesome! I seriously don’t know how I would survive without a crockpot! There was a veggie spiral maker on clearance last week and I passed it up. Darn. I have regrets now. Amber…run back and get it! It really is so cool, and a great way to add fun veggies to your diet! I will remember these products for the up coming wedding showers and wedding gifts that will need to be purchased this summer. Perfect Candy…I still use so many of my wedding shower gifts. The kitchen items were my faves!